Windows 8.1 delivers everything you expect from Windows – and a whole lot more. 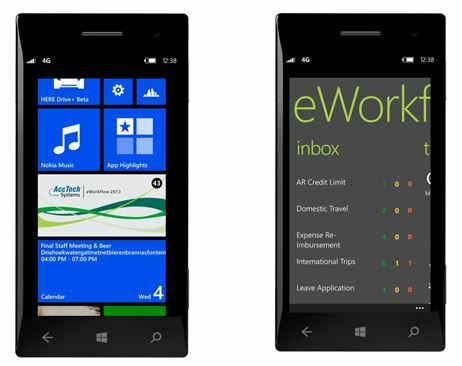 You can take advantage of new mobile apps that are easier and faster to develop, deploy and manage, and the enhanced user experience takes full advantage of touch-screen tablets and notebooks. 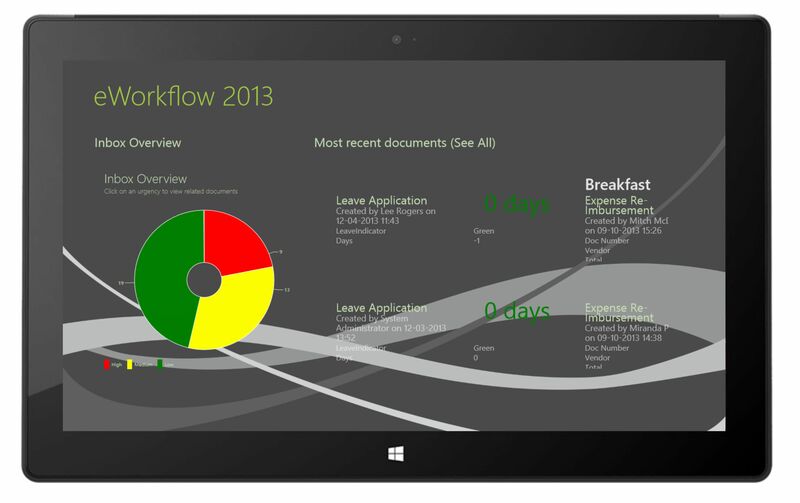 This collection of Windows 8 apps covers the spectrum from leisure, productivity and business apps. Apps make it very convenient to do business on the go, keeping you up to date on your daily activities, business news, social networks, sports, weather and much more. All of these apps can be used on laptops and desktops. AccTech eWorkflow 2013 app is an intuitive role-based software process tool that easily manages business processes within the organisation. These automated and managed processes improve productivity and efficiency by routing transactions, tasks and activities, from person to person involved in the process. AccTech eWorkflow 2013 app provides full tracking of every action from source to end, bridging the gap between the back office and the operations of the business. The result is improved gains in productivity and efficiency across the organisation. 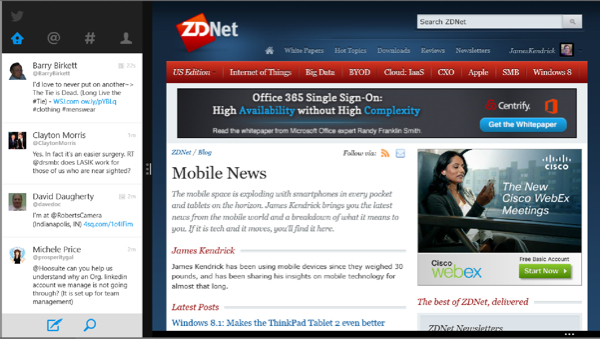 Windows 8 now has widgets thanks to the HD Widgets app. This app has a full screen with selectable wallpaper and an assortment of common widgets to put on it. The widgets include a clock app, a weather app, news reader, and a calculator, among others. 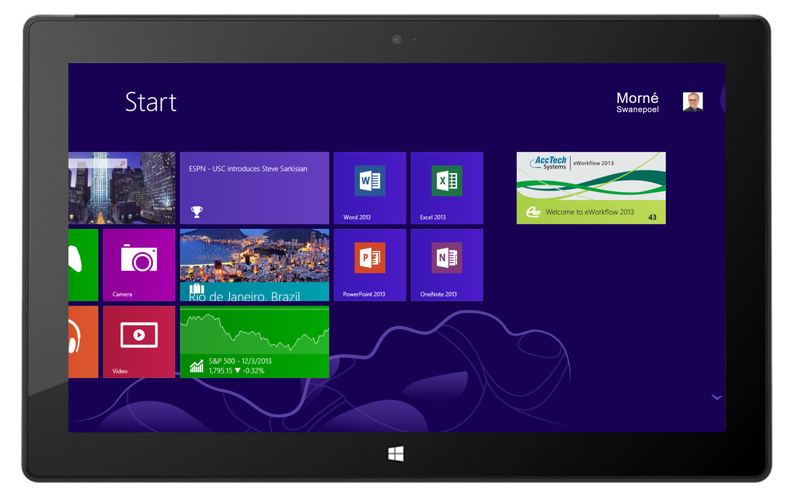 Windows 8 tablets are great tools for working with PDF documents. PDF Touch takes that a step further with a touch-optimized interface that supports pinch/zoom which comes in handy. It is a PDF viewer and editor that allows marking up documents with a finger tip. This app is a fast RSS news aggregator that makes keeping up with lots of feeds a breeze. 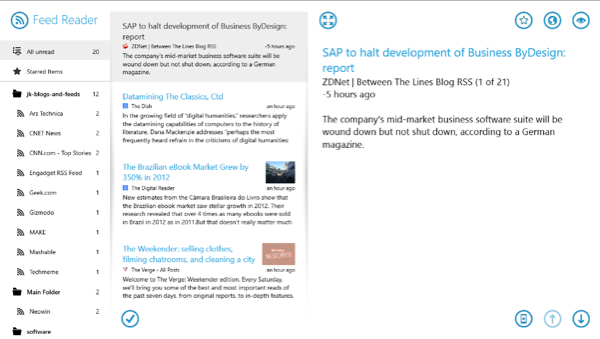 Its familiar 3-column format makes it good to see a lot of RSS feed information at a glance. Drilling down to individual news items is a simple screen tapping exercise. It presents a lot of information in a format that can be used quickly to cover hundreds of news items. This app is a great way to read books purchased from Amazon. 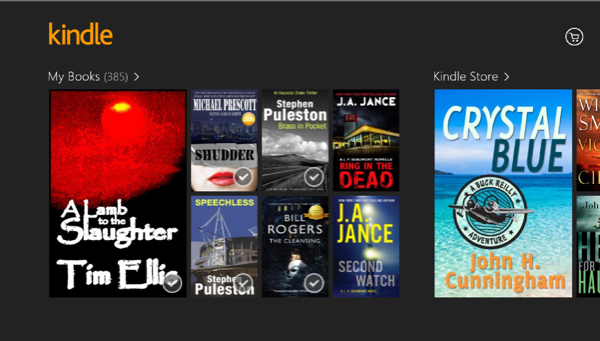 The Kindle app is particularly useful to read large PDFs for work by simply emailing them to the Windows device using the email address that Amazon provides for that purpose. The ability to work with two apps at once has been greatly improved in Windows 8.1 The Twitter app is put in the pane on the left and the IE web browser on the right. This allows surfing the web while keeping an eye on updates to Twitter. Another good use of snap view is keeping the Mail app open in one pane while doing something else in the pane on the other side. It’s a good way to keep on top of work email.